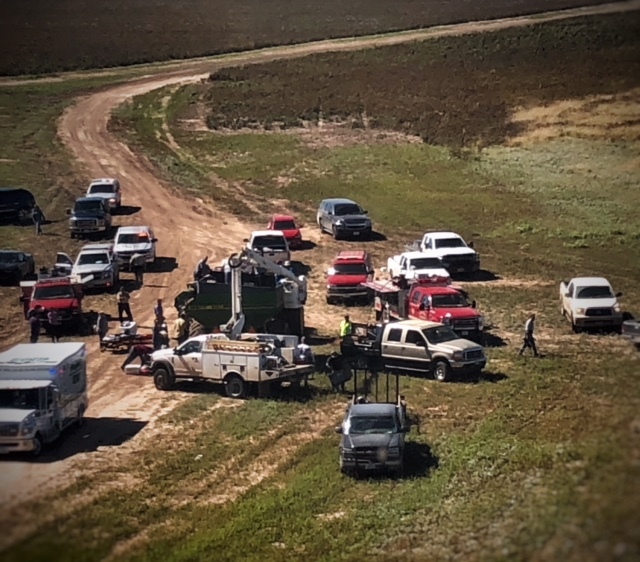 A farm accident between Plainview and Floydada led to life-saving measures by an emergency rescue and trauma team Tuesday (October 17th). 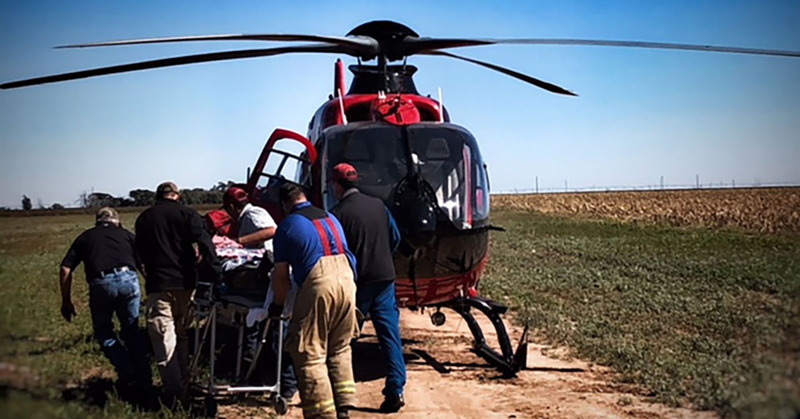 Fifty-nine year-old Leo Martinez was trapped when his legs were caught inside of a 20-foot tall grain auger cart, causing severe life-threatening injuries. A grain auger is a tube containing a solid shaft in the center with a spiral of flat steel that is welded onto the center shaft. The auger’s sharp corkscrew blade rotates as it draws grain up. According to the Farm Injury Resource Center, on a per-hour-of-use basis, augers are one of the most dangerous machines in farm use. 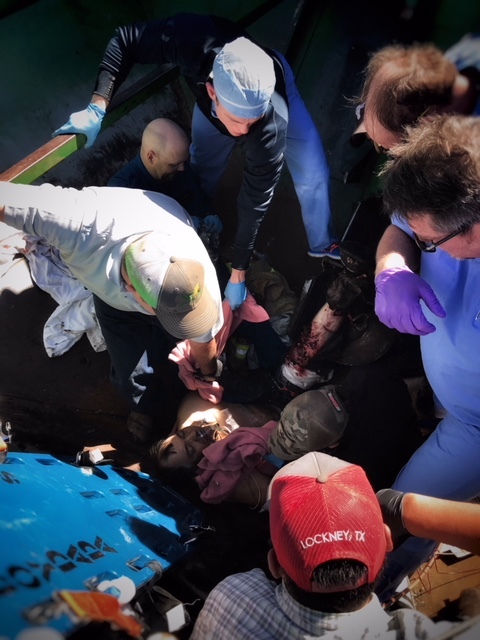 Martinez was sucked down and wedged in the auger, severely crushing and cutting his legs. 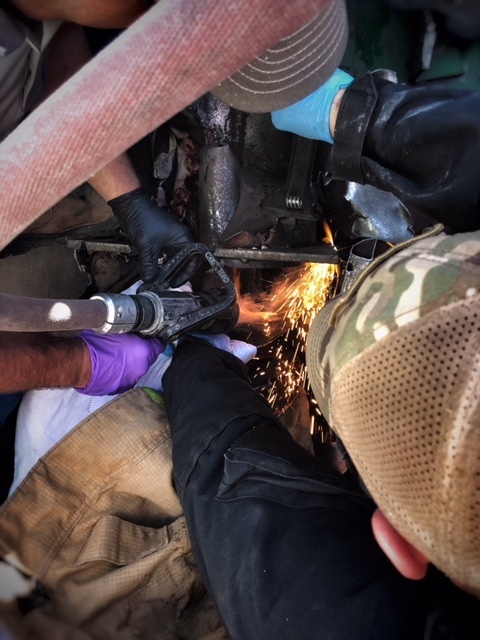 First responders were unable to reverse the auger blades or free Martinez, and feared he could bleed to death from his injuries. 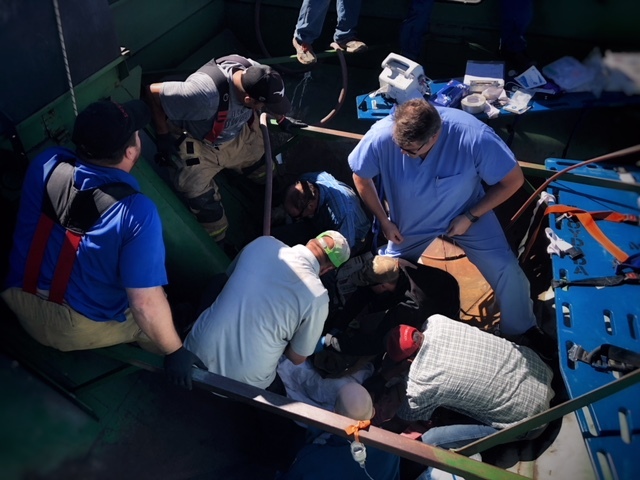 Steven Brooks, M.D., a trauma surgeon at Texas Tech Physicians and Trauma Medical Director at University Medical Center, was contacted and organized a team for travel to the accident site for a possible on-site leg amputation. When Brooks and Andres Leal, M.D., chief resident, arrived on scene, they were prepared to intubate the patient. 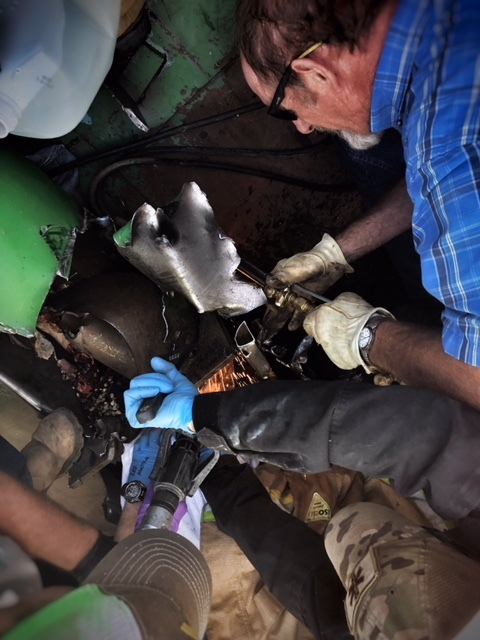 Police and sheriffs were present, while first responders from Lockney EMS & Fire Department and Floydada Fire Department, cut the metal housing away from the auger using a torch to peel back layers of steel. Water was sprayed during the use of the torch to immediately cool the metal. 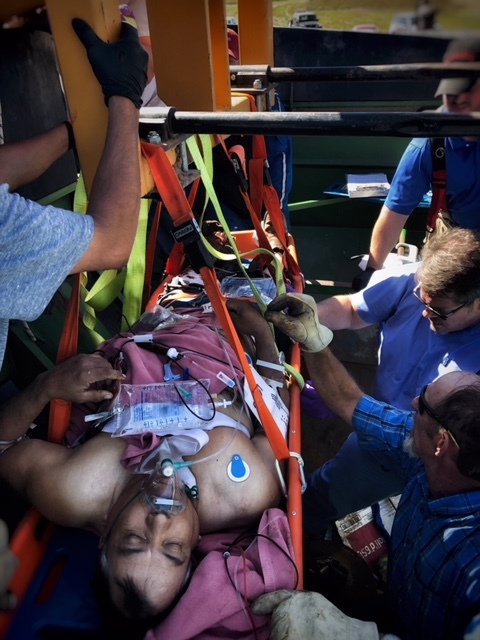 Once freed, Martinez was lifted out of the 20-foot tall auger cart in a rescue basket with the help of a forklift. Immediately upon his arrival to University Medical Center, Brooks confirmed that the arterial blood supply to the patient’s legs was intact. Texas Tech Physicians orthopaedic surgeon George Brindley, M.D., along with the orthopedic trauma team, operated on Martinez’s numerous wounds and completed a left foot amputation that was largely done by the auger. Martinez likely will require future surgeries and physical therapy due to soft tissue and muscle damage, but physicians anticipate his continued recovery. Brooks expressed gratitude for the patient’s safety and pride in first responders and hospital professionals whose efforts resulted in that outcome.